Guilford, Connecticut is a quintessential New England town, and its Citizen’s Day Parade represents it at its best. This year’s theme was the “The 375th: Our history, Our present, Our future”. 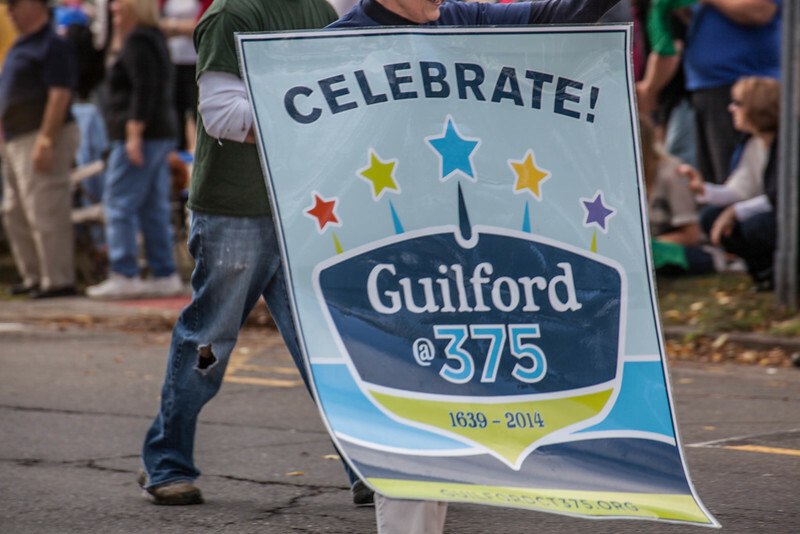 From tractors to llamas, from girl scouts to politicians, we saw it all… People of all ages lined the route as the parade made its way around the Guilford Green to Boston Street and out to the Guilford Fair grounds on Lovers Lane. Now THAT’s are real ol’ time town parade!! Well done Irene and Guilford folk. Thanks OC! Sadly, there were no Shriners this year. But we had giant politician heads instead!